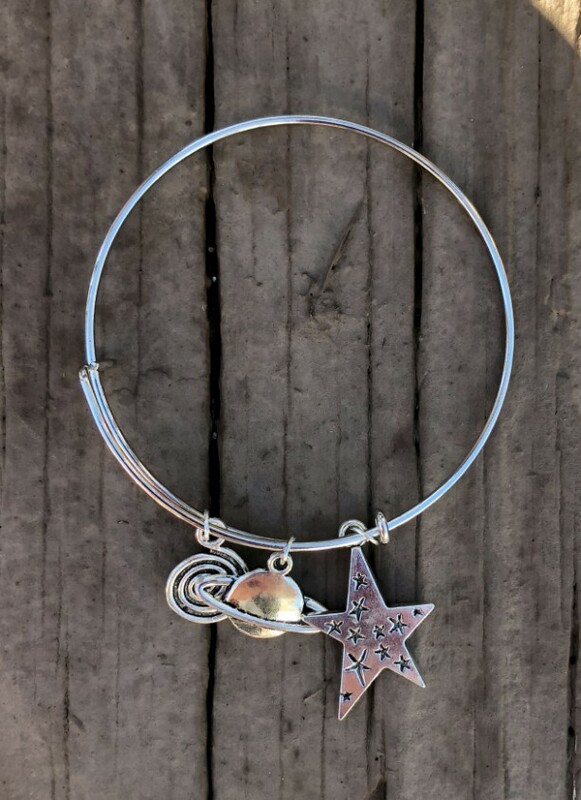 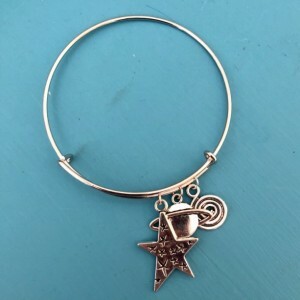 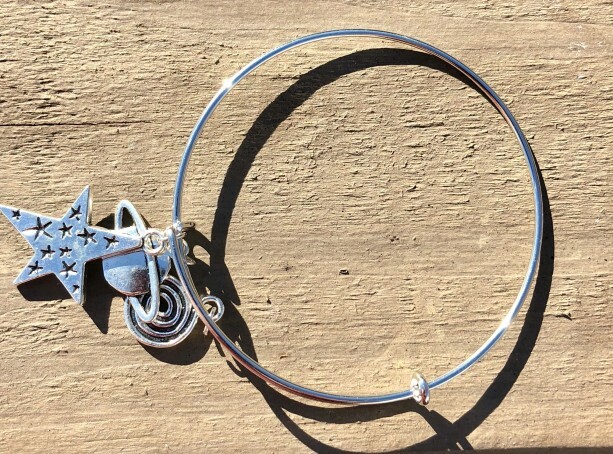 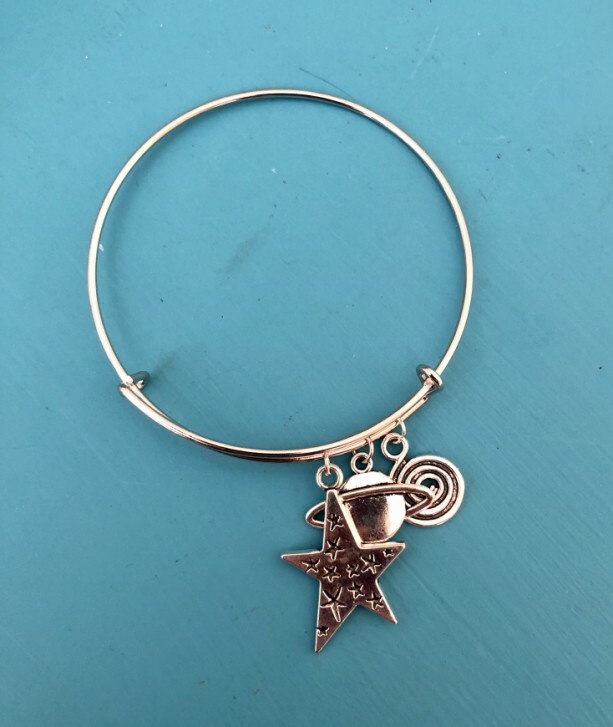 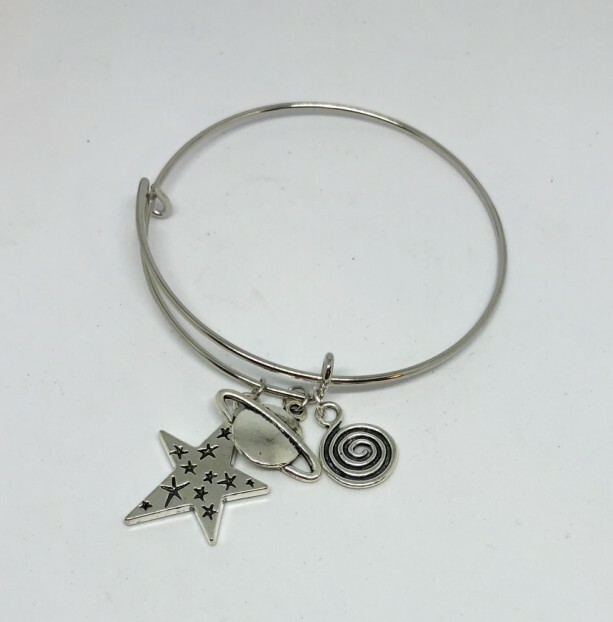 Carry your love of the universe with you wherever you go and whatever the time of day with this pretty and fashionable charm bangle bracelet! 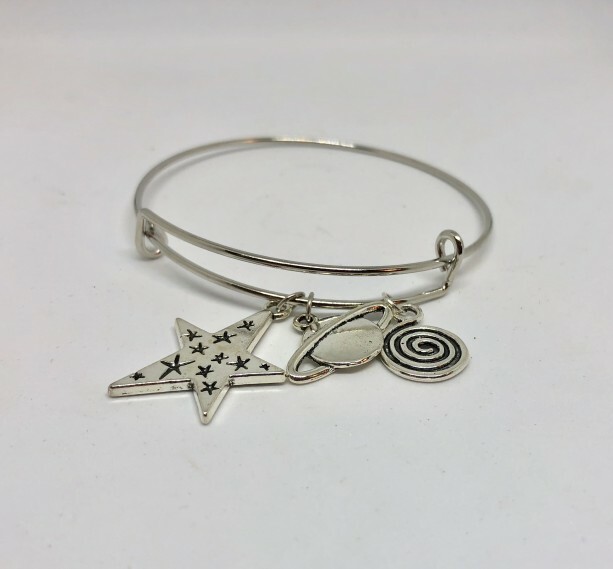 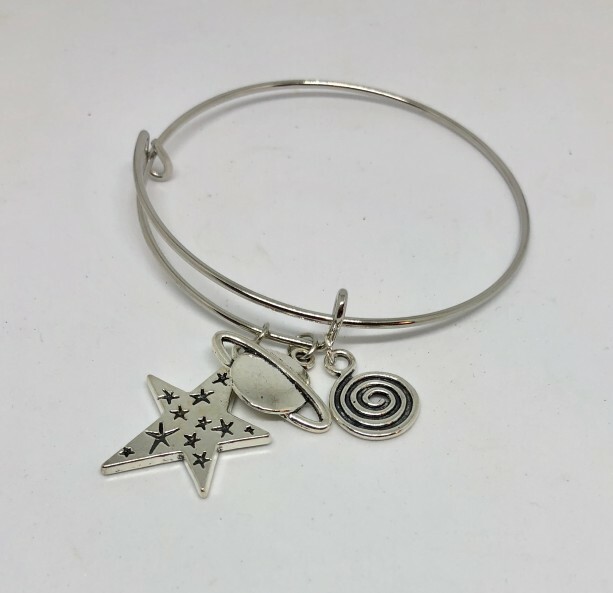 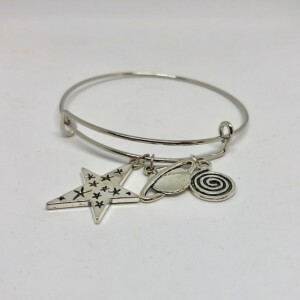 Expandable wire style silver tone bangle with three space inspired charms: A gorgeous star, a galaxy swirl, and a Saturn planet with rings. 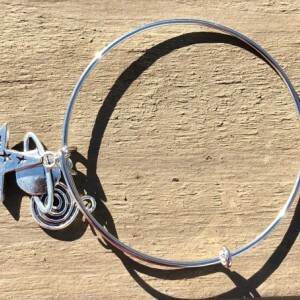 Each small charm is placed on the bracelet with jump rings, and more charms can be added. 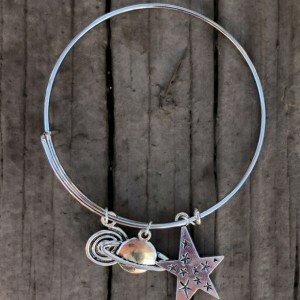 This bracelet is wonderful and feminine, and would make a great addition to any outfit! A perfect gift for the space lovers and trend setters in your life! 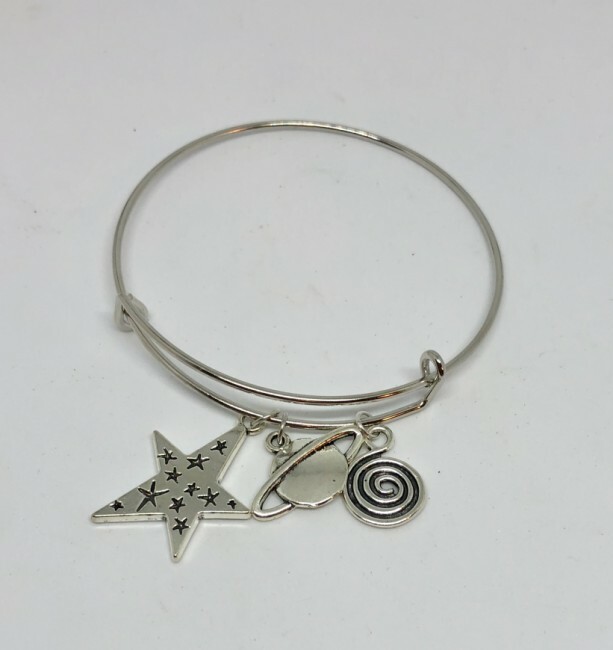 All jewelry is made with care and packaged using reused and reusable materials to insure an economic and earth-friendly trip from my home to yours.